You might recall a while back I posted a review of a Melbourne-based beer (!!!) 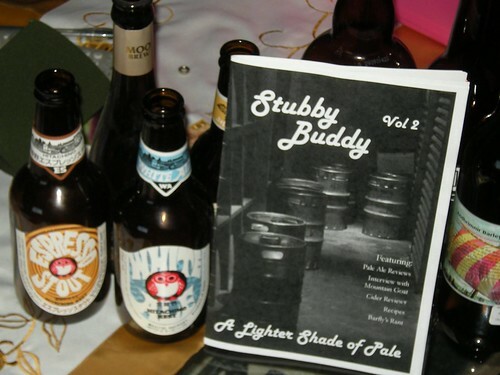 zine called Stubby Buddy that I happened upon in Sticky Institute’s mail order department. At the time, I actually purchased volumes 1 and 2. My fellow Melburnian beer blogging chums @jayelde of Beer Bar Band and @jkr442 of The Salving Font were speculating about the third volume’s release. 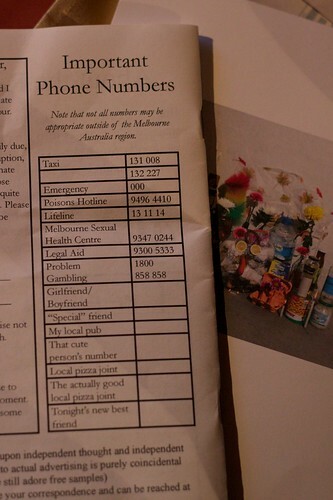 I jumped into the Twitter conversation and said, oh wow, do you guys know about that zine too?! Turns out they found out about it on this here humble blog, and gently pressed for a review of the second volume, so now’s the time to oblige them. Though the zine as a medium is usually a publication put out for general fun and enjoyment, again, just like in volume 2 of Stubby Buddy, you would be remiss to think it an amateur publication. Before we get to the meat of the zine (pale ale reviews), there’s an intro discussing the then recent liquor licensing laws that have affected the livelihood of small night venues that have live entertainment. Most notably affected by this was stalwart music venue The Tote in Collingwood which is now back in operation. Then we get a sneak peak into the head of Dave Bonington, the brewer and co-founder of Mountain Goat Brewery in Richmond. This got me all excited because the Stubby Buddy staff interview him about their organic Steam Ale (which I enjoyed a fair few pints of before winter kicked in, ooh yes!). It’s excellent timing for me as Dave will be a guest at the next Local Taphouse St Kilda Ale Stars on July 20th. After the interview, they give ratings on the Mountain Goat range – in fact, they rate my favourites the Steam Ale and the Surefoot Stout quite highly. I know true beer drinkers love the Hightail Ale but it’s still too heavy for me. Incidentally, the zinesters offer an excellent tip – try Hightail Ale with Surefoot Stout for an ‘awesome black-and-tan’. Wonder if the Goat will make one up for me if I go down? I’ll be sure to ask! The first issue had a few cider reviews, and this issue has expanded on it. They review some of the more well-known suspects like Coldstream, Pipsqueak and Mercury and have a whole bunch of ones I’ve never heard of. I especially want to try Rahona Valley Vineyard’s Bob’s cider – a super dry at a whopping 10.2%! Anybody know where I can get it? If you don’t know all that much about pale ales, don’t fret as there’s a page devoted to the appropriate schooling in which they manage to take good-natured digs at everyone – apparently the French make up for their cowardice with good booze as is evidence by a more fiddly version of the pale ale, the bière de garde (which would translate fairly literally as ‘beer for keeping’. Atticus Finch’s inaugural Beer School taught me that it’s quite nourishing for the working peasants). They also refer to Little Creatures as ‘girly’. Lacks depth but is very accessible. Like U2. Can’t be edgy anymore because it’s too popular. Kudos for being able to cellar it. Good bang for the buck. I laughed so much at the U2 comparison that I made my better half stop his grown-up programmadore coding and listen as I read it out aloud. Still, I have a soft spot for the Coopers Pale Ale. I drank many a six-pack in the first summer I discovered the radness that was non-commercial beer (yes, yes, I realise Coopers is fairly commercial…cut me some slack, I’m talking about my n00b days…). 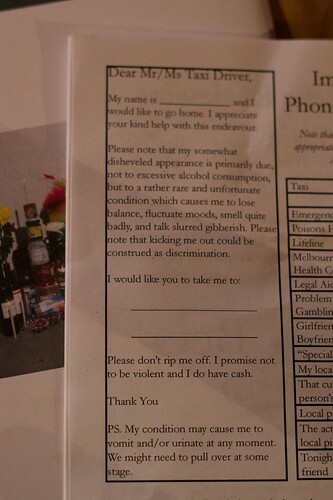 This bit you might like to keep on your fridge – after you’ve filled it out. If you want to get in touch with the writers and give them your love, they are reachable on stubbybuddyzine at gmail dot com or check out the Facebook fan page. This entry was posted in cookie-foodie antics, craft beer goodness and tagged beer zine, craft beer goodness, Stubby Buddy, zine review on July 7, 2010 by gem. I was in tears reading the history of pale ale, every sentence had a zinger! I still think of the Coopers Pale Ale burn and chuckle. Those writers are so bloody funny. I guess next issue they will review porters and stouts? Let’s hope we don’t have to wait too long!